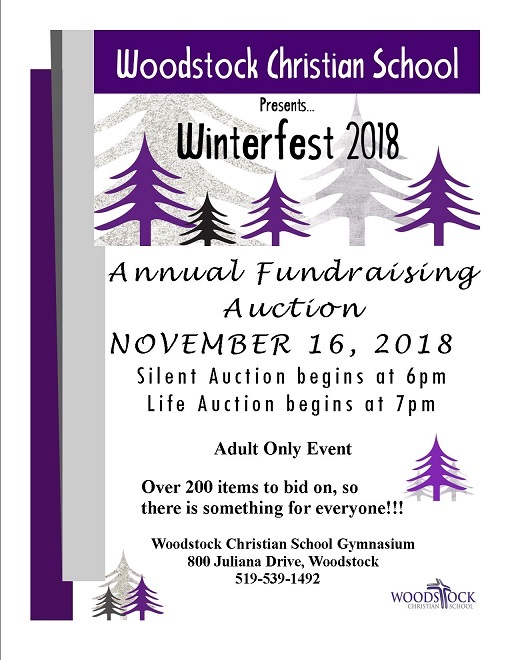 Join us on Friday, November 16, 2018, for our Annual Winterfest Auction. This promises to be an exciting evening of fun and fellowship! With so many items, there will be something there for everyone. We will have both a Silent & Live Auction to enjoy. The Silent Auction A opens at 6 pm and closes at 7:30 pm and Silent Auction B closes at 8:30 pm. The Live Auction begins at 7 pm in the WCS Auditorium. 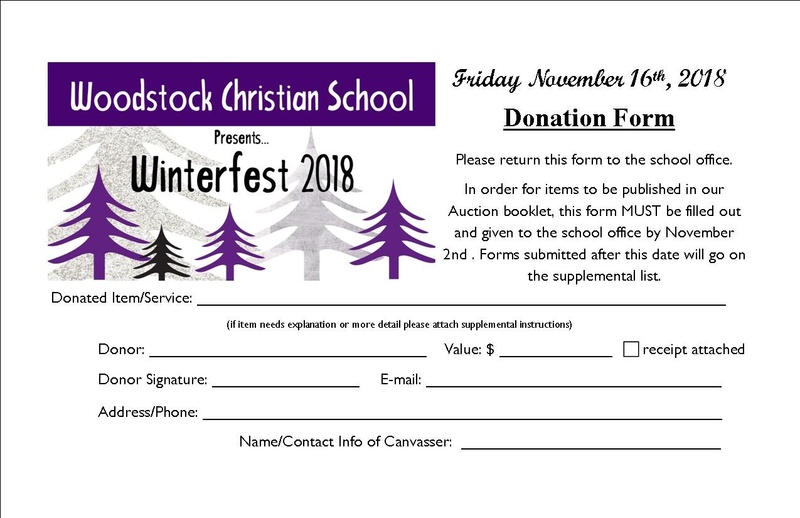 For the over 20 years, businesses and individuals have donated their goods or services to the Woodstock Christian School Winterfest Auction. 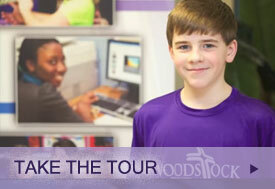 Plans are under way again for our - 23rd Annual Woodstock Christian School Winterfest Auction! This fundraising event has always been a highlight for the school, the families, and the community. 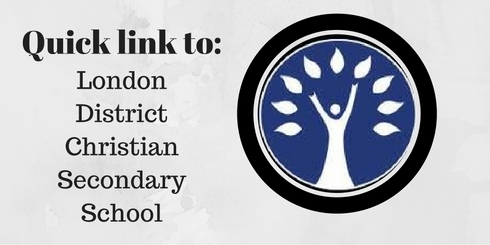 It has raised significant funds over the years which assist in keeping tuition affordable for the parents who seek a school where they know their children receive a high quality Christ-centred education. We have been blessed with a wonderfully supportive community including all those who make donations, volunteer their time, and those who come out on the night of the auction for an exciting evening of fun and fellowship! 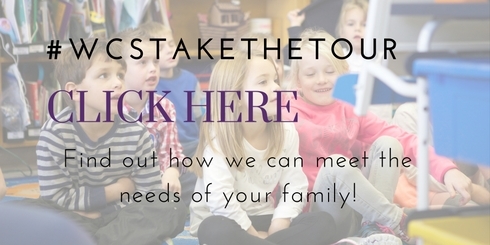 If you are a business and would like to make a donation, please contact the school (519-539-1492) and we can arrange for your item to be picked up. We would like all donations in the school office by November 3rd in order to be included in the auction booklet. Any late pledges or items will be added to our supplemental list available the night of the event. Your business will receive recognition in our auction brochure and a thank you advertisement will be printed in our school newsletter (distributed to over 700 households) and in our local newspaper. Your decision to support this event will be greatly appreciated by our entire Christian School family! If you are looking to attend, the event takes place in the school gymnasium (800 Juliana Drive) with the silent auction opening at 6 pm and the live auction beginning at 7 pm. Silent Auction A will close at 7:30 pm and Silent Auction B will close at 8:30 pm! So if you didn’t have the winning bid of your favourite items in Silent Auction A, you get another chance in Silent Auction B which will have many more great items! The auction booklet will be available in advance of the auction so you can plan your bidding! Please note this is an adult only event. With over 200 silent auction items and over 50 live auction items, there truly is something for everyone!! So come on out and bring your family, friends and neighbours for some food, fun, and fellowship in support of Woodstock Christian School! Thank you for your support of the WCS Winterfest Auction!